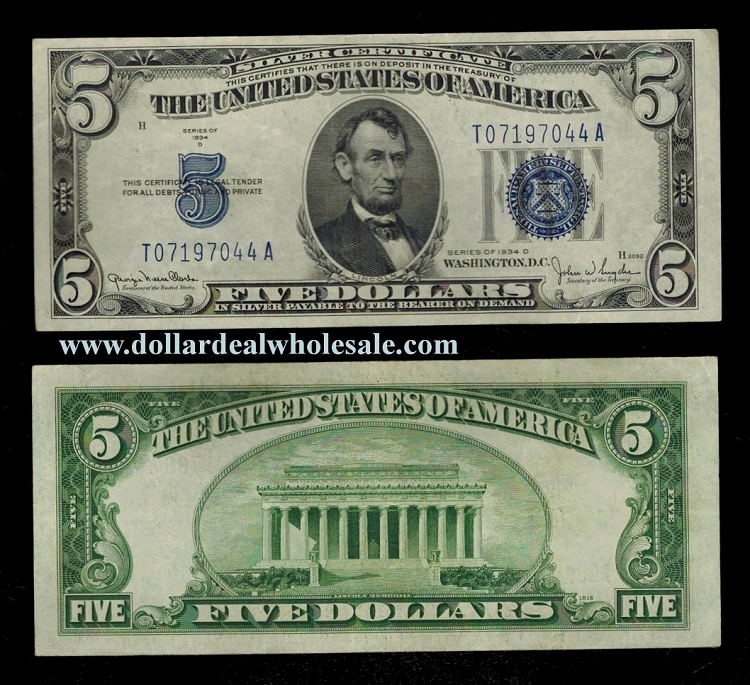 Small-size $5 Silver Certificates were issued with series dates of 1934 and 1953. Once redeemable for silver coin or bullion, these notes and the redemption option were discontinued by Act of Congress in 1963. Silver Certificates, with their distinctive blue Treasury seals and serial numbers, are among the most sought-after U.S. currency notes. 1934 is even more special with its large blue seal and large blue 5 on its left. Select the condition you want for your note. rice will vary according to the condition selected.